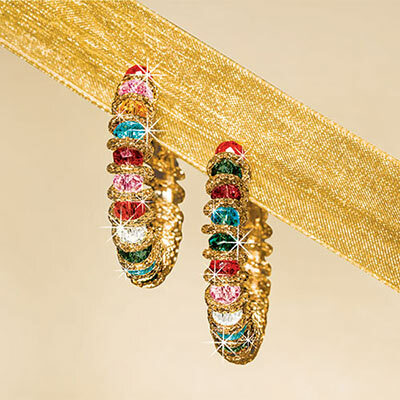 These Rainbow Crystal Earrings are clever, unique and oh-so-colourful! A gold-tone box chain wraps around each faceted crystal in these sparkling handcrafted hoop earrings. Pierced latch backs. 2"l.